Rachel Klein hopes she can ignore the Nazis when they roll into Amsterdam in May 1940. She’s falling in love, and her city has been the safest place in the world for Jewish people since the Spanish Inquisition. But when Rachel’s Gentile boyfriend is forced to disappear rather than face arrest, she realizes that everything is changing, and so must she―so, although she is often tired and scared, she delivers papers for the underground under the Nazis’ noses. But after eighteen months of ever increasing danger, she pushes her parents to go into hiding with her. 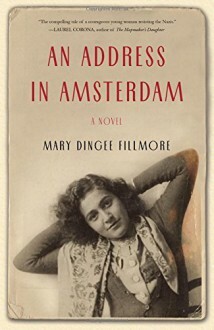 The dank basement where they take refuge seems like the last place where Rachel would meet a new man―but she does.An Address in Amsterdam shows that, even in the most hopeless situation, an ordinary young woman can make the choice to act with courage―and even love.